Als Beilage enthält das Heft "neue Häuser" zu Carcassonne. 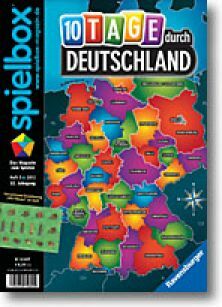 This is the German edition of spielbox no. 5/2012. You will find the complete menue here beginning of October. The English edition will be published middle of October. As a gimmick this issue will include "new houses" to Carcassonne.